If it doesn’t fit, should you throw it out on moving day? Should I toss it or keep it? Whether you’re moving overseas or across the street, moving gives you the chance to sort through your belongings. However, in the stress of moving, many people end up tossing things that they later wish they’d kept, or even have desperate need of in the future. These moving tips will help you avoid throwing out items you will need or want in the future. Organizational experts recommend evaluating items before tossing them based on value, sentiment, utility, and security. 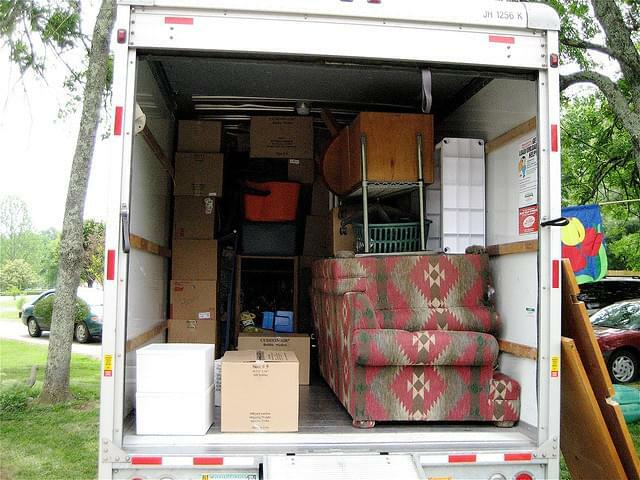 Here are key things that you should not throw out during a move. Important papers — Although you can get rid of a lot of papers you have around your home, you still need to keep some of them. You will need the following: birth certificates, tax returns for up to seven years, marriage licenses, divorce decrees, social security cards, educational documents (diplomas, degrees, transcripts, etc. ), military service records, medical records, bank and financial information, automobile titles, passports, wills, investment papers, and other papers of similar value. Sentimental items — These are key items you really don’t want to do without, and are still in usable condition and provide some value to you. A moldering couch from your grandma can go. A box of photos from your childhood might be irreplaceable. If you have a lot of sentimental items (like, 70 sports trophies), consider photographing some of them and getting rid of others. If you just can’t toss any of them, and you don’t have room for them in your new place (or your girlfriend won’t make space for them), consider renting a small storage closet at a self-storage unit. Electronics with personal data — If you have an old computer sitting around, you need to wipe out all personal information on electronics before getting rid of it. Your device might have stored passwords, digital tax returns, photos, and other data that could put you at risk for identity theft. Emergency supplies — No matter how small your new place will be, you need to keep flashlights, radio, emergency kit, and similar items on hand in case there’s an emergency. Sometimes you don’t have time to sort through things properly, or your new place doesn’t have much storage. In this case, you can rent a self storage unit and avoid the heartache from tossing important items. Paying $25 a month is a small price to pay for peace of mind. Plus, if it means you can move into a smaller apartment, you’ll end up saving money. At Valustoreit, we have hundreds of storage units to choose from in all sizes. Contact us today and move your belongings in tonight!